For information on group rates or any other race questions, contact Denise Ryan at dryan@jolietpark.org. Take a break from pounding the pavement and kick some grass! The Red Eye 5k features a cross country style course that winds through Inwood Golf Course and finishes on the track at ATI Field at Joliet Memorial Stadium. Pre-registered runners will receive a custom hoodie and all runners will receive a finisher’s medal. Of course, the Red Eye wouldn’t be the Red Eye without a Bloody Mary waiting for you at the finish line! The Red Eye 5k is a chip timed race. The overall male / female and masters (age 50+) male / female winners will be awarded prizes. In addition, age group awards will be given to the top 3 male/female finishers in each bracket. Please see the FAQs for age group brackets. 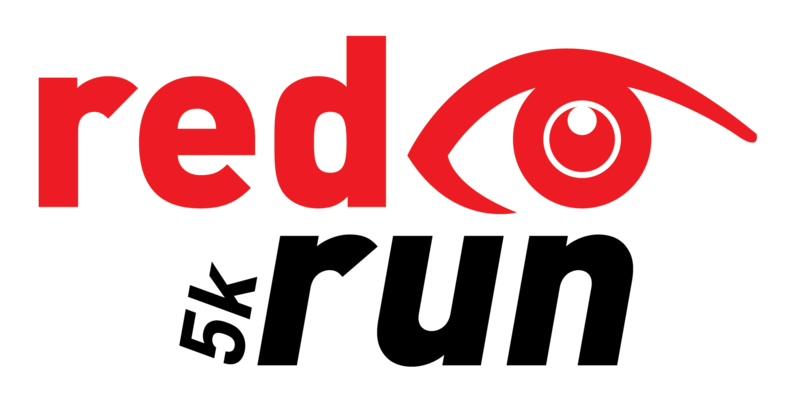 The Red Eye 5k is the third race in the 2019 run3.1 circuit. Click here for more information. How can I register for the Red Eye 5k? Online registration is available here. You can also register in-person at the Joliet Park District, 3000 W Jefferson St in Joliet. Red Eye 5k registration is $35 through September 23, then $40 from September 24 - October 18. Pre-registration closes on October 18 at noon. Will race day registration be available? Yes! Race day registration for the Red Eye 5k is $50. Please note, shirt availability and size selection may be limited on race day. What is the group registration rate? How do I sign up my group? Organized groups of 6-15 runners can receive a $5/runner discount on registration. Groups of 16 or more runners can receive a 20% discount on each runner’s registration. Discount is based on the date registration forms are submitted; pre-registration price increase deadlines will not be waived. Interested groups may contact Denise Ryan for more information – dryan@jolietpark.org. Race packet pickup for pre-registered runners will be in the Community Room at Inwood Athletic Club (3000 W Jefferson in Joliet). Dates and time are as follows: Friday, October 18 from 7am-7pm and Saturday, October 19 from 7am-12pm. Packet pickup also will be available on race day. run3.1 participants will receive their apparel with their Red Eye packet. Please park in the west lot at ATI Field at Joliet Memorial Stadium. The lot entrance is at 3000 W. Jefferson in Joliet. Will there be a gear check area? Gear check will not be available at the Red Eye 5k. Walkers are welcome but encouraged to complete the course with a 20 minute/mile pace or better. The golf course will be closed for a limited amount of time for the race, and we want to be respectful of our facility partners. Can I wear spikes since this is a cross country course? Part of the course is on pavement and on the track inside the stadium. To minimize damage to shoes and the track surface, we respectfully request that runners do NOT wear spikes. Can I run with my dog? What about a stroller? For the safety of all participants, spectators, and your pets, we do not permit pets or strollers (or bikes or rollerblades) on the race course. Will there be other beverages besides Bloody Marys at the post-race party? Yes, there will be other food and beverage options available. What are the age group brackets for awards? How does my company become a Red Eye 5k sponsor? Still have questions? Need more information? No refunds due to inclement weather and/or race cancellation.